Unlike larger companies, small businesses are more challenged to establish themselves and maintain their stay in the very competitive market. Why is that? Well for one, they don't have that much capital. They don't have the luxury to spend on expensive business tools such as dedicated servers for example. That is why thousands of small and mid-size businesses today are upgrading their phone systems by availing phone services from RingCentral telephone service providers or other credible and reliable providers. But that is just one example. They should also consider other new and relevant technologies that can help them in various aspects such as daily operation, marketing, customer service, finance, management, and others. 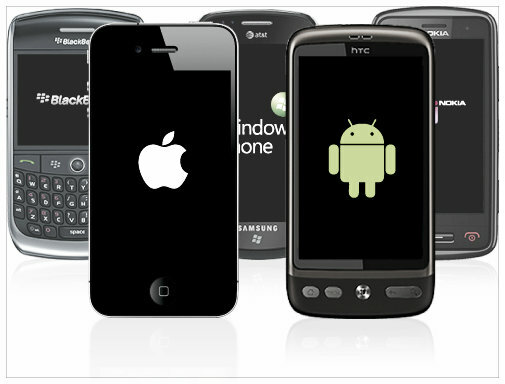 With that in mind, the adoption of Smartphones in running the business seems practical and beneficial. To help you out more, read on below some of the reasons why small businesses such as yours should adopt Smartphones. · Access information from anywhere and anytime. You can appreciate this in two ways. 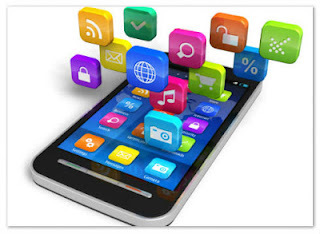 One is through the capabilities of the Smartphone that allows you to have knowledge about what is happening in your business if you are far away like in a business meeting in a five star hotel. You can always perform functions such as calling, text messaging, voicemail and email. With this, you can always check and monitor the progress of your business on a day to day basis. The second one is through the access of information external to the business. Examples of these are breaking business news, weather updates, directions and maps, traffic report, and a lot more. With these being made available through various apps, you can be more flexible and avoid external factors that may delay or hassle you in accomplishing your tasks for the day. This applies to all business people - owners, partners, suppliers and employees. · Allows you to be more organized and flexible. Before, business people have to always bring mini-planners to take note of their schedules and contacts. Today, what they need to bring is just a Smartphone and they can already have everything from appointment schedules, contacts, notes, and documents. Add to that the automatic reminder feature which works as your digital secretary. When it comes to flexibility, there is also another way by which you can appreciate it. It allows you to perform tasks such as editing of appointments, organizing contact lists and documents while on travel or going to a business meeting. In this way, you can really optimize time in accomplishing more tasks. · Wide range of features for greater functionality. Aside from the basic functions, Smartphones have built-in cameras that you can use to take photos of products so the recipient can have more idea about what you are talking about. This is also beneficial for office employees that needs to check the warehouse for example but can't instantly go there. So, the on-site employee can just take a video or photo and send it to the office. Photos of warehouse machinery can be also taken to check if there are any damages. Another feature that can be optimized in marketing is the Multimedia Messaging System or MMS. This is like SMS marketing. But with MMS, you can include graphics and animations. You can also add music in a message. This is a more creative way of informing and reaching your prospective customers. Michael H. Morgan is a copywriter and editor who enjoys the challenges of creativity and attention to detail. He writes about a wide variety of topics of interest in the field of technology and current trends in the industry and creates only original content. He also writes about telecommunications and lately concentrates on business phone service and would love to hear you on Twitter.